You want to get it right, don't you? So today's 3-4-Friday #FridayReads are three books that we think might give you inspiration - but please, please do come in and set us the challenge if you have anyone tricky to buy for, male or female, young or old. We're definitely here to help. 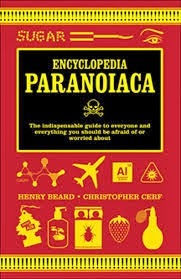 First up is the Encyclopedia Paranoiaca by Henry Beard and Christopher Cerf. It's an authoritative, disturbingly comprehensive, and utterly debilitating inventory of things poised to harm, maim, or kill you - all based on actual research about the perils of everyday life. Drinking straws, flip-flops and flossing - all pose deadly threats and you'd do well to mug up. Easy to read all the way through, or can be dipped in at times of stress or anxiety. This is very funny, and cheaper than going on a health and safety course. 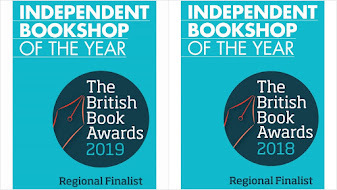 Signed copies always make a great book just that little bit more special, and at the moment we have books by Sir Ranulph Fiennes, Mo Farah, Pam Ayres and others signed and on the shelves. 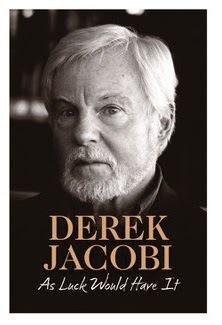 But today we've gone for As Luck Would Have It by acting legend Sir Derek Jacobi. This is everything you might expect from one of our most loved actors. Jacobi tells his story in a funny and warm-hearted way, from simple childhood in the East End to the height of fame on stage and screen - including becoming a founding member of Laurence Olivier's National Theatre. We have a small number of signed copies in stock, and they are perfect for fans. Finally, we can definitely recommend The King's Grave: The Search for Richard III by Michael Jones and Philippa Langley. For anyone who watched spellbound during the Leicester news conference earlier this year, this book is the entire and definitive background story, and captures perfectly the mounting excitement and breakthrough discoveries of the Channel 4 documentary 'The King Under The Car Park'. Told in alternating chapters alongside Richard III's life and last days, this is as gripping as a spy thriller. Highly recommended. 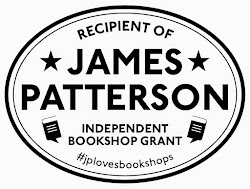 If you want other recommends, catch Mark talking books in a silly hat on BBC Radio Oxford this week - or simply pop into the shop (no silly hat required) and ask.